Have been injured or made ill because of a bar accident or pub accident that was caused by negligence on the part of the establishment? Then you could qualify to claim a bar or club injury compensation payout. Whether you were injured because of a slip, trip or fall injury, an accident caused by poor maintenance of the premises, an assault or were injured in an accident at work, or any other sort of accident which resulted in you becoming injured or ill, you could be able to claim compensation. Trust Advice.co.uk to help you in suing a bar for your injury. We are a well respected personal injury advice service. Call us and we can provide you with an excellent personal injury solicitor that has decades of experience helping our clients claim compensation for a pub accident or a bar injury. Call Advice.co.uk today for your free personal injury claims consultation, and advice on how to sue a pub or how to sue a bar for negligence. We will assess your situation and if you have the right to make a claim, we will then provide you with a fantastic personal injury solicitor, who will start working on your compensation claim right away. We will also assess how much pub accident compensation victims may be entitled to receive. Call us today on 0161 696 9685 to see if you are entitled to claim bar or club injury compensation. If you have a valid claim, we are ready to represent you in your case. What Is An Accident In A Pub Or Bar? How Do We Assess The Severity And Long Term Effects Of Pub Injuries And Bar Accidents? How Much Time Do I Have To Claim After An Accident In A Pub Or Bar? We go to the pub to enjoy ourselves, catch up with old friends, or blow off steam after an intense week at work. Most visits to a pub or bar are enjoyable, but unfortunately, if the venue does not uphold correct standards of health and safety, this can result in pub injuries and bar injuries taking place. Pubs, bars, and nightclubs have a legal duty of care towards their customers, staff and anyone else who may use the premise. This may include a person making a delivery. This means that they are responsible for taking every reasonable measure to protect the health and safety of their customers, staff, and others, whilst using their premises. If negligence on the part of the bar, or pub leads to an avoidable accident, which results in someone becoming injured or ill, the establishment could be held legally liable for their injuries and have to pay the injured person compensation. If you have been injured or became sick due to an accident at a pub or bar, then you could qualify to claim compensation for your injuries. In this guide, we take a look at the common causes of pub and bar accidents and have included a personal injury claims calculator. This is to help claimants better estimate how much pub accident compensation they could be eligible to claim. We also explain the benefits of making a no win no fee claim. Whether you were a customer, staff member, or had another reason for using the pub or bar, if you were injured in an accident that was not your fault you may be able to claim damages. If you believe you have the right to claim compensation for an accident in a pub, or an accident in a bar, call us today to begin your claim. Heading out for a drink is a popular British pastime. Although most pubs and bars in the country are run to a high standard, accidents resulting in injury or illness could take place if the pub neglects its duty of care towards its patrons and staff. For example, a poorly maintained handrail can give way beneath the weight of a customer causing them to fall. Another example is that a pub has not employed an adequate number of security staff could mean that a customer or member of staff experiences a violent assault as a result. If you have been injured because of a pub accident, accident in a beer garden or accident in a bar that was not your fault, call Advice.co.uk. If you are entitled to claim, we could provide you with one of the personal injury solicitors from our panel, who will represent you in your claim. If you have been hurt because of a pub injury or a bar injury that was not your fault, you will probably be concerned about how much compensation you could be eligible to claim. This personal injury claims calculator lists compensation amounts set out by the Judicial Court Guidance for injuries suffered. So call us today for a personalised compensation claim estimate. Please note, the compensation amounts listed in this personal injury claims calculator, does not cover special damages that you may be entitled to claim. If you claim compensation for injuries caused by a pub accident or a bar accident that was not your fault, you could claim general damages and special damages as part of your compensation award. We will now look at what these types of damages are in more detail. If your compensation claim is successful, the main part of your bar or club injury compensation package will be general damages. General damages are awarded to compensate the injured party for their pain, suffering, and loss of amenity. They are usually the largest part of any personal injury claim. You can be reimbursed for medical expenses caused by your injuries. This can include the price of hospital treatment or medication. You can be reimbursed for travel expenses caused by your injuries. This can include the fare of a taxi to the hospital or taxis to work if you were temporarily unable to drive. You can be reimbursed for home care. This can include compensation for a friend or family member who cared for you while you were recovering, or the cost of a carer. You can be reimbursed for mobility equipment or special adaptations to your home that you may now need if your injuries caused a permanent disability. You can be reimbursed for loss of income. This can include salary payments and in work benefits that you might have lost if you were temporarily unable to work. Faulty furnishings, such as a chair collapsing beneath a customer’s weight. Slip, trip or fall accidents caused by hazards on the floor. Food poisoning as a result of food or beverages not being properly stored or prepared. Burns due to food being served at too hot a temperature. Being crushed because of excessive crowding in the venue. If you are injured because of one of the accidents above, or another accident that was not your fault at a pub or a bar, you could be eligible to claim pub accident compensation. Call Advice.co.uk to begin your claim today. Unfortunately, in a venue where people go to enjoy drinks, it is easy for a drink to become spilled. If a drink is spilled, the legislation states that the spillage should be signposted until it is cleaned up, and cleaned up as soon as possible to prevent it from becoming a slip hazard. Another reason the floor can become wet is the toilet flooding, and the mess not being immediately cleaned up and the source of the flooding repaired. In a busy pub environment where staff are often rushing to serve customers promptly, it can be difficult for staff to deal with hazards that have arisen, however, it is important to do so to protect customers and staff from suffering slip and fall injuries. If you have been injured because of a slip and fall accident in a pub or a bar, that was not your fault, you could be entitled to a slip and fall compensation amount. Call Advice.co.uk today, to see what slip and fall compensation amount you could claim. If you have been injured in a pub or injured in a bar because of poor maintenance at the venue, then this violates the pub’s duty of care. Some examples of accidents that could be caused because of poor maintenance can include ill-fitted carpets slipping on the floor, furnishings that have not been properly fixed to the wall falling and injuring people, or a faulty chair collapsing under a customer’s weight. If you have been injured due to an accident caused by poor maintenance at a pub, you could be entitled to make a pub accident claim for compensation. Call Advice.co.uk today, to see if you are entitled to claim for an injury caused by poor maintenance. Unfortunately, in environments with alcohol being served, aggressive behavior can take place. This can sometimes lead to fights breaking out and people being assaulted. If you were assaulted in a pub or bar because the venue had not taken proper security measures, or staff had failed to intervene or deescalate the situation before it got out of hand. Whether you were a member of staff or a customer who was assaulted, you could be able to make a bar injury claim for compensation. However you could also file a Criminal Injury case. Call Advice.co.uk about making your bar accident claim for assault today. If you experience a bar injury or pub injury because the pub’s duty of care towards you was neglected, in theory, the business could be held liable for your injuries and have to pay you compensation. In order to do this, your solicitor will have to provide evidence that the accident was caused by negligence on the part of the pub or bar, such as pictures of disrepair of the pub that caused a slip, trip or fall claim. In some cases, if the claimant has drunk copious amounts of alcohol, they may be held partially responsible for their injuries, so 50% of liability may be attributed to the Claimant and 50% may be attributed to the Defendant in the pub injury claim. If you are unsure of how your claim will be characterised, call Advice.co.uk for your free consultation, where we can talk about your options in depth with you. 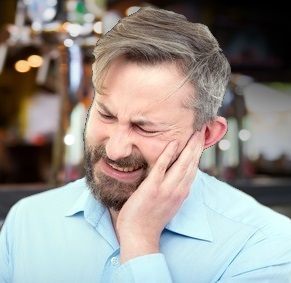 If you have been injured or made ill caused by an accident in a pub beer garden, you could be entitled to make a pub injury claim for compensation. Accidents in a beer garden that can happen can include slip and fall accidents caused by faulty paving or patio slabs, accidents caused by faulty patio heaters or outdoor chairs and tables tipping over. If you have been injured due to an accident in a pub beer garden, you could be eligible to claim a compensation payout. Call Advice.co.uk for free legal advice and to enquire about starting your accident in a beer garden claim today. Slip, trip and fall injuries caused by food spillages, or drink spillages. Being burned by hot oil in the kitchens. Burns from carrying hot food. Slipping on wet floors after cleaning, or the floor being in poor condition causing slip, trip and fall injuries. If you have been injured in a pub or bar accident at work, which was caused by negligence on the part of your employer, you could be entitled to make a bar accident claim for compensation. Call Advice.co.uk today for your free consultation to see how much you can claim. If you have suffered a bar injury or pub injury because of a pub accident, or bar accident, then you may be able to claim compensation. If a personal injury solicitor provided by Advice.co.uk takes on your case, we will arrange for you will receive a medical assessment of your injuries from a local physician at a time that is convenient to you. They will produce a medical report as a result, which will define the severity of your injuries and assess how they may affect your quality of life over the long term. This will be used to assess the value of your personal injury claim, including the value of any special damages you may need to claim for. In Great Britain, there is a 3-year personal injury claims time limit for making a compensation claim. This means that you must begin your claim within three years of your accident taking place, or your injuries being diagnosed if you wish to claim compensation. We recommend that you contact Advice.co.uk as soon as possible to ensure that you do not run out of time to begin your pub injury claim. Personal Injury Claims 3 years from the date of the incident or knowledge of the injury. 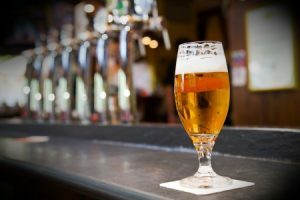 How To Begin A Pub Accident Compensation Claim? If you wish to make a pub injury claim for compensation, start by calling Advice.co.uk using the telephone number that we have provided. If you have legitimate grounds to claim, we could provide you with one of our panel of personal injury solicitors to handle your claim, who will start working on it right away. If you have been injured because of a pub accident or bar accident that was not your fault, we will offer you the option to make a no win no fee claim for compensation. Making a no win no fee claim means that you will only have to pay your fee if you win your claim, so there is no financial risk to you. For many of our Claimants, making a no win no fee personal injury claim is the less stressful and more affordable way to claim. Call Advice.co.uk today, to enquire about making a no win no fee claim. If you wish to make a personal injury claim for an accident at a bar, or an accident at a pub that was not your fault, you have come to the right place. Call Advice.co.uk today for free legal advice and a complimentary consultation. If we believe that you are entitled to make a pub injury claim, we will provide you with the right solicitor to represent you, who will start your claim today. Whether you were a customer or a member of staff, we can help you make a pub accident claim or bar accident claim for the compensation that you are owed. Call today for your free consultation, we are looking forward to helping you. Contact our team using the phone number or contact us link at the top of this page. Our team can contact you to review your case and claim. If you are able to make a claim, we can offer you a no win no fee agreement. See how much you can claim if you have had an accident in the workplace in the guide above. If you have been involved in a car accident, you could be due compensation. Talk to our team about making a compensation claim.